Two others in the presentation I talked about yesterday were extremely valuable as well. The third topic was done on Sickle Cell Anemia. Many times athletes who go down with sickling are often treated for heat stroke. Athletes who collapse due to SCA usually have a core temperature under 102 deg. F, and can often collapse after being on the field only briefly. In sickling, red blood cells begin to sickle because of low blood oxygen level, increased muscle heat, metabolic acidosis, and/or dehydration of red cells. In turn the cells can log jam blood vessels and stop blood supply. One thing that coaches should be aware of is that athletes who go down with sickling can still talk after going down. One sign to look for is severe low back pain and cramping. SCA is a sequential death meaning that one things leads to another which leads to another. Where as with sudden cardiac death the athlete goes down and is in cardiac arrest when they hit the ground. The presenters did a good job at detailing the differences in SCA, heat stroke, and sudden cardiac death and what to look for in each. With sudden cardiac death, swift action was the take home point obviously. Recognizing the situation and having a defibrillator ready is the key. 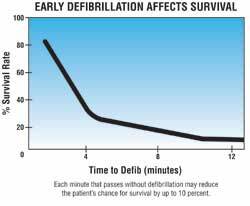 The survival rates range from 49% to 75% with CPR plus defibrillation within 3-5 minutes of collapsing. Each minute of cardiac arrest decreases the survival rate by 7-10%. There are a variety of reasons for sudden cardiac death in athletes. Generally, there is a structural cardiac abnormality such as hypertrophic cardiomyopathy (left ventricle hypertrophy), or coronary artery abnormalities. These are the two most common issues but there can be a variety of other structural anomalies that have caused SCD in athletes. Atko Viru wrote about left ventricle hypertrophy in athletes and how this can be created by improper training stimuli at a young age. Doing energy system work with young children whose cardiovascular systems are not capable of handling lactic acid can create LVH. I don’t know if there has ever been a linked connection but he makes interesting observations on this and the problems it creates. Another cause of SCA in athletes is commotio cordis. This is where athletes go into cardiac arrest after a blow to the chest. The blow induces ventricular arrhythmia in an otherwise completely normal heart. 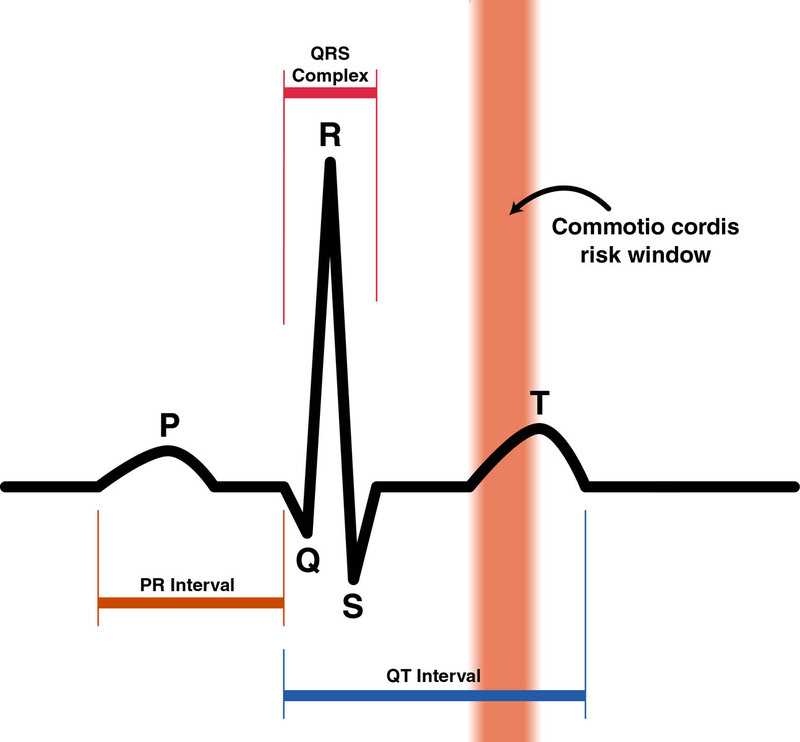 The interesting thing here is that commotio cordis is all about timing. The point of risk is when the chest is struck while in the upswing of the T wave. Education is the key to any of these life threatening situations. Every strength coach should be made aware of what to look for and have an emergency action plan in place. 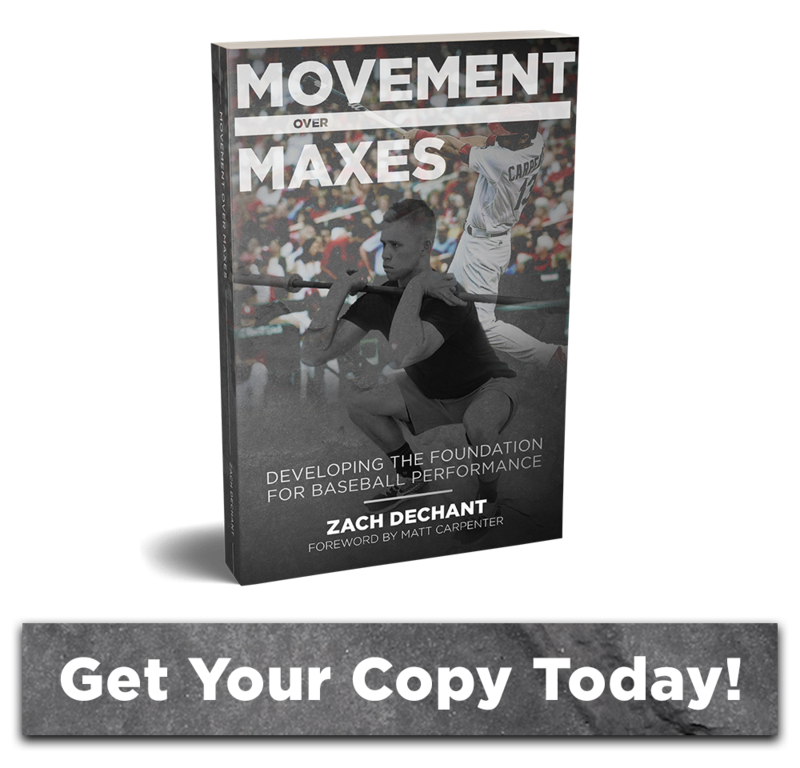 I thought I knew enough about these topics but was made well aware from this presentation that I don’t and I have to believe that strength and conditioning coaches across the country are in the same boat as myself. I look at it now as you can’t know enough when it comes to possibly saving the life of one of your athletes.